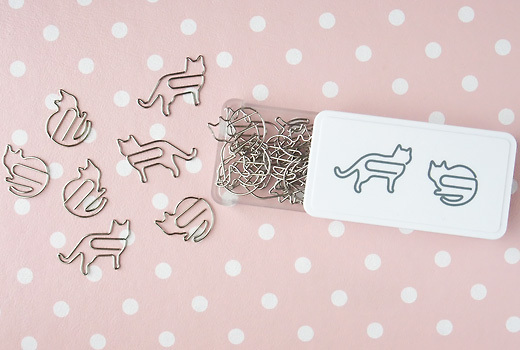 Cat shaped paper clips from Muji. Not lazy as real cats, they work well. A cat can fasten 10 copy papers! eu quero! *_* que lindo!! i love this. my papers will look interesting with this clip. SO UPSET THESE DON’T SHIP TO THE U.S.!!!! I want them so badly ;-; ugh. dkjshdjkshf. Nooosaa , muito lindo mas vai ser dificil eu encontrar esses clips aqui no Mato Grosso ! why, oh why can’t these ship to the US? 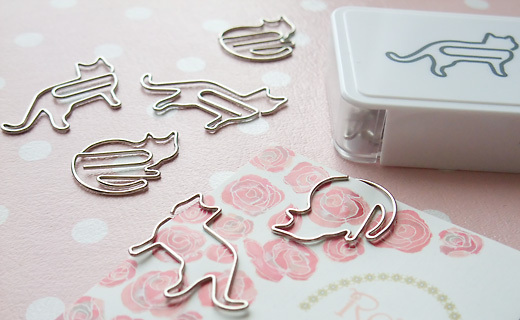 :( I would buy tons of these for myself and for gifts! So when & where do you expect to make these available in the U.S.?